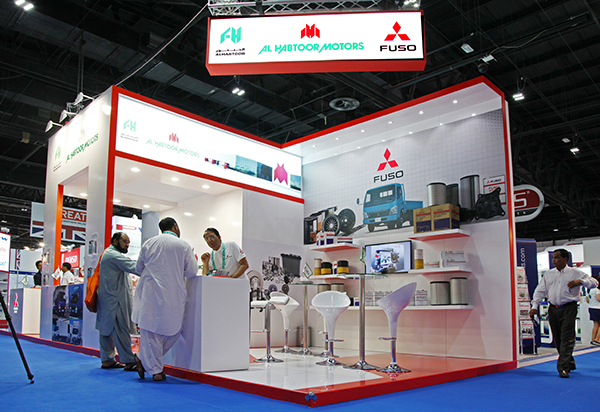 Al Habtoor Motors, the official distributor of Mitsubishi Motors and FUSO trucks and buses in the UAE, is all set to welcome visitors to its exclusive stand no. H5-124 (Hall no. 5) at Automechanika Dubai 2014 and looks forward to presenting its vast assortment of genuine Mitsubishi auto parts, its Mitsubishi value 2nd selection parts and diamond value parts. Mitsubishi genuine parts and accessories are designed, engineered and manufactured to ensure perfect fit and optimal performance – first time, every time. Committed to delivering value for money, all Mitsubishi genuine parts are competitively priced and ensure the best quality. Furthermore, by supplying Mitsubishi parts which follow stringent quality measures, Al Habtoor Motors offers full support and backing to all customers who get their vehicle serviced at any of the Al Habtoor service centers These measures have to be met by any supplier to become one of Mitsubishi’s official and approved reseller. The parts that are shipped to Al Habtoor Motors are certified by Mitsubishi Motors Corporation in Japan and are fitted by fully trained technicians at Al Habtoor Motors. Al Habtoor Motors has invested in a new 25,000 sq. m fully automated warehouse in Dubai Investments Park which stocks over 65,000 line items. With ample stock and excellent logistical support backed by an efficient delivery service, Al Habtoor Motors has ensured a 95% first pick rate when it comes to spare part availability. Which is why, Al Habtoor Motors has been recognized more than once by Mitsubishi Motors Middle East and Africa for its outstanding sales performance and marketing support to Genuine Mitsubishi Spare Parts in the UAE. Ensuring the protection of your investment in your Mitsubishi vehicle, we strongly advice at all times, you use Mitsubishi genuine parts purchased from Al Habtoor Motors and fix it in our Mitsubishi service centers.